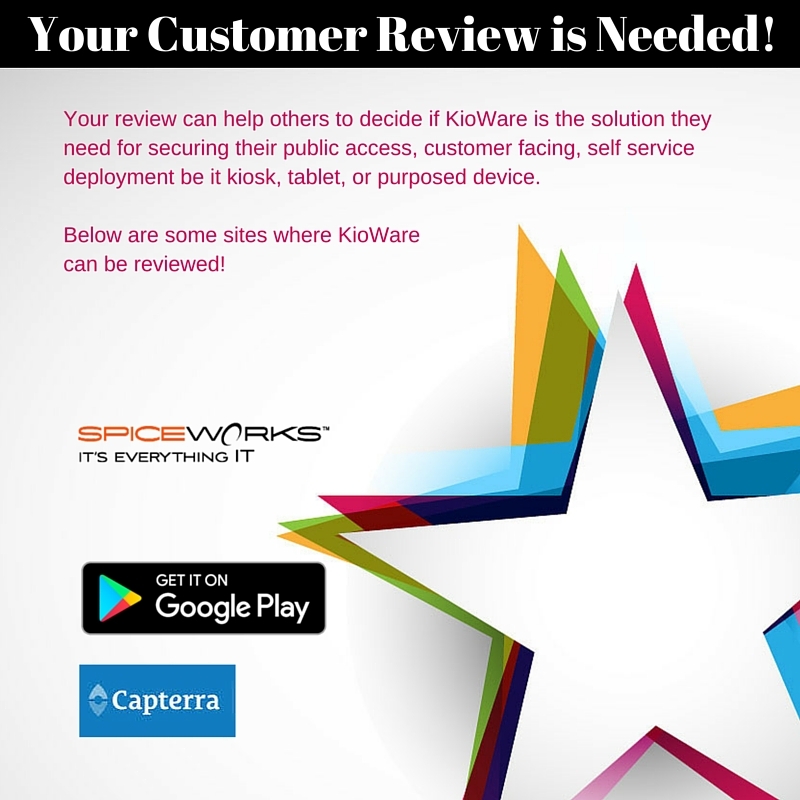 Your review can help others to decide if KioWare is the solution they need for securing their public access, customer facing, self service deployment be it kiosk, tablet, or purposed device. Below are a few links where you let others know about your experience with KioWare kiosk software and the KioWare support team. Have some constructive criticism to offer? We want to hear it! Email sales@kioware.com with your feedback on product features, improvements, user interface suggestions, and more. Review us on Capterra. | Review us on Google Play. | Find and review us on Spiceworks. Have another suggestion for a review site you prefer? Post your review there, and email lmiller@kioware.com with a link!